Townsville gallery crisis deepens as philanthropists withdraw millions | Daily Review: Film, stage and music reviews, interviews and more. The Council of Australian Art Museum Directors (CAAMD) has weighed into the short sighted decision by Townsville City Council (TCC) to dump the role of a curator from running its two public art galleries and replacing the role with a council workers who will be charged with running the city’s sports facilities and libraries and galleries. In its report outlining its outsourcing push the TCC revealed its priorities by describing its civic responsibilities as “undertaking multiple activities that are offered externally — eg. cemeteries, events, museums, galleries, waste services, etc”. Last week the directors of every state gallery, as well as Gerard Vaughan the director of the National Gallery of Australia in Canberra, wrote to the Mayor of Townsville, Jenny Hill, to register “in the strongest terms” that the cost-cutting exercise will be likely to “jeopardise the Perc Tucker and Pinnacle galleries good standing in the local and wider community”. The restructure was recommended by management consultants, Nous Group. 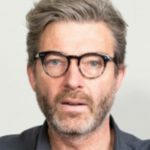 The CAAMD wrote on October 20: “This is already evident in the public withdrawal of support from Philip Bacon, one of Australia’s most influential gallerists and philanthropists (who sits on the board of the Gordon Darling Foundation, which recently made several generous grants to the Perc Tucker). It is further seen in Brian Abel’s withdrawal of a $3.8 million promised gift of works by internationally renowned artist Ian Fairweather. We believe that the serious loss of confidence in the gallery’s future, expressed by Mr Bacon and Mr Able will have a significant impact on the Perc Tucker’s ability to secure major donations, grants and gifts into the future”. The directors argued that it takes “specialist professional leadership” to run a public gallery whose skills are different to those needed for running a library. “We urge you and your Council to please reconsider the removal of a role with direct accountability for the growth and development of Gallery services; a role that, in our view, should comprise a skill-set specific for the effective operation of a public art gallery. These skills are what enable galleries like yours to build strong and supportive networks within the artists, art and philanthropy communities. In turn, these relationships add significant public value to your capcity to deliver on the dynamic and innovative programs outlined in Council’s Visual Arts Stretegy (2013). “We want Townsville’s public galleries to be recognised as key elements with the city’s cultural and tourism infrastructure — potentially driving an economic benefit to the city over and above their core cultural contributions to the quality of life in your region”. The letter was signed by the CAAMD chair Nick Mitzevich (Art Gallery of SA) for and on behalf of Chris Saines (QAG/GOMA), Tony Ellwood (NGV). Michael Brand (AGNSW), Liz-Ann McGregor (MCA), Stefano Carboni (AGWA), Angus Trumble (National Portrait Gallery, Canberra), Janet Carding (Tasmanian Museum and Art Gallery) and Marcus Schtenko (Museum and Art Gallery of the Northern Territory). As a longtime visitor to Townsville and now a frequent resident I am dismayed by this decision of the City Council to abandon the reputation of the Perc Tucker gallery. I regularly recommend that my visiting friends include it on their Townsville itinerary having enjoyed numerous visiting exhibitions myself. Townsville councillors, please reconsider if you are seriously interested in keeping the current cultural values alive for Townsville. Actions such as this occur when the holistic value of arts and cultural activity is not measured and reported regularly. Governments around Australia are turning to online value reporting system Culture Counts to establish and maintain value measurement to grow funding – or in unfortunate circumstances like this – to prevent erosion of their funding base. It is up to arts leaders to provide better evidence of value so that these circumstances are not repeated. Michael, couldn’t agree more. Although in this instance there exists very thorough reporting that clearly demonstrates the ROI for the local council in supporting its cultural institutions, unfortunately this has not been considered, or worse, completely disregarded in this instance. You might be pleasantly surprised by the depth of reporting undertaken by the Gallery affected in this matter by visiting the Townsville City Council website and navigating to the galleries page to view their annual reports. The reports are only a fraction of what has been developed by this institution and influences much more than the traditional gallery idiom. Perhaps then you may offer a different point of view – that of disestablishment without cause? If data on the economic, intrinsic, instrumental and institutional impacts of the facilities are available, then it comes down to knowing what to do with them. If these value propositions are strong, comprehensively presented and argued, then a rational decision-making process would not result in the current outcome. Where do you think the decision-making process is breaking down? As a four times participant in the well-known Perc Tucker Gallery’s Strand Ephemera sculptural event,[which attracts up to a 10,000 strong audience bi-annually] – I would like to express my dismay and practical disbelief in the Townsville Council’s recent decision to not only remove the most highly efficient and talented Director of Perc Tucker, but to terminate the position! Take note of what happened to Newcastle as a city when their Regional Gallery met a similar fate. A gutted city and community. What a mean-spirited and ignorant attitude has been dished out by the Townsville Council! needs to be seriously examined. I am offended by Professor Woland’s description ofTtownsville as a ‘bogun city”. Comments like this are not helpful and really serve no purpose, try making a comment that will help solve the problem not inflame the locals. Culturally ignorant politicians are rolling specialist areas into one basket to the detriment of the people who visit the city’s cultural spaces, including the library. It’s well known that governments that provide well-curated cultural spaces attract people (and their partners), to live in, work in and visit a city. Townsville’s local government has made a retrograde step. No . . . I shouldn’t say that. Perc Tucker was a visionary for the city. Well said Kathy, we need well managed cultural spaces, they after all form the backbone of the community. Our history is recorded in our art, not in the football. If good art is kept and shown the crowds will come . The directors have to show a good mixture of work not just experimental and new but some of the classic older Australian art and build a collection in the Gallery of the best of the local art. Collect a dictionary of the best of the locals and others who lived there. Both art and football should be able to co-exist in the community but not one at the expense of the other. This short sighted decision by Council shows a lack of regard for the importance of the Arts for the Townsville community. As a regular visitor to Townsville, I have always included the Perc Tucker Gallery in my program and can see how expert art direction has improved the quality of exhibitions and the permanent collection for locals and visitors alike. This is not a job best left to an administrator, but to someone with a strong knowledge of the arts, a network of contacts within the broader art community and the drive and professional expertise to further develop these galleries. Council needs to have the vision and commitment to foster its arts and put its galleries on Australia’s art map. The recommendations in the NOUS Group report, some of which have now been implemented by the Council, may well lead to better services in Parks and Gardens, Water, Waste, Roads etc., but surely by now the Mayor and Councillors must realize that they should have more carefully considered the wisdom of dispensing with specialised leadership positions for the Gallery and Libraries. Although the Council’s actions have become an embarrassment to many Townsville citizens, the bad publicity (local and nationwide) could soon be forgotten if the damage was rectified. I know that there are many well-meaning and well informed people who are encouraging the Council to reconsider their actions. One should only conclude that the current Council really does not care about the place of Townsville’s public galleries as “key elements within the city’s cultural and tourism infrastructure” if they fail to listen and cannot convincingly restore confidence in the gallery’s future. I travelled to Townsville recently (from Mackay) specifically to see an exhibition at the Perc Tucker. Having not been there for some time, I was very impressed with the exhibitions on display and the quality of the work. I commented at the time at how good it was to see the Perc Tucker having so many visitors on a Sunday morning, and how it was great to see all the spaces being used diversely and cleverly. It woould be a great shame if the next time I visit, this vibrancy is missing due to short sighted cost cutting. There seems to be some sort of ‘disease’ going through councils especially in Queensland. I resigned from my position as director at Hervey Bay Regional Gallery a couple of years ago, along with our exhibition officer. We had both served the gallery very well for 10 years and were put in an untenable position of not being able to continue to deliver the standard of service established by the gallery. And now we despair at the dismal situation of the regional gallery having only two staff for the entire Fraser Coast Cultural Centre (which includes the gallery and discovery centre). I suspect that the previous director/curator at Perc Tucker saw the writing on the wall and escaped as I did. Restructure is a very dirty word in my opinion and this instance perfectly demonstrates that ‘regional councils’ have little if any idea of what it takes to operate an international standard regional gallery. Shame on those responsible. You deserve everything you get (or don’t get!). I feel very sorry for the staff, volunteers and community. Yes, Marj when you were the director at Hervey Bay the gallery was a fabulous asset to the community. I have seen that particular gallery slide into a decline over the past few years, I was shocked on my last visit to see that fabulous new gallery having nothing much to offer other than loads of children’s art stations set up in the foyer!! Unbelievably sad short-sightedness. What a bone-head idea to dump the gallery curators for council workers who will manage the towns sporting facilities, libraries, waste services, cemeteries etc as well. Are the councillors on the Townsville City Council lacking in intelligence or just ignorant or perhaps both! Many of us from around the world visit Townsville on a regular basis not only to see family but to enjoy the all round experience that the city provides. I have seen the arts scene grow and follow it with great interest. This ridiculous move to save money will have a knock on effect across the entire arts community reducing morale and affecting tourism also. Please reconsider, galleries need knowledgeable curators who are accessible and can liaise with other galleries and financial supporters, people who are enthusiastic about their specialism. On the other side of the coin one would not send a curator to cut grass or supervise a parks service. My opinion: all services will suffer and why? To save money, for goodness sake Townsville is a growing city don’t start skimping in such areas. With Brandis at their head, the philistines have arrived. These philistines are of the other colour in political circles, they are red, not blue! The citizens of Townsville voted in a council with no opposition, no one to question, no checks and balances. This is the result the citizens of Townsville are wearing. Seems like you should never vote for a monolopy! Very short sighted and stupid decision, not one councillor stood up and challenged this decision! And running libraries. Sorry I trained for years and worked for years as a librarian. It is a job that requires specialist skill in a great many areas (no we do not sit around reading all day). Like galleries we cannot have council workers running libraries. This policy shows the ignorance of the council and is only aimed at saving money. I can tell you from experience council workers have no idea about cultural institutions. I had a town clerk tell me that I was not to use words of more than two syllables and sentences of more than seven words. He also said if the library burnt down he would recommend that it not be replaced. Unfortunately the libraries do not have the strong and vocal support of a parent body like the galleries. ALIA (Australian Library and Information Association) is a limp lettuce whose response to the closure of several Special Libraries under the Newman government resulted in a politely worded letter to the Courier Mail saying what a bad move it was. Libraries and the library profession have been misrepresented, undermined and reduced to administration positions without a squeak from ALIA. Our communities and culture have no idea what it is they are losing. Our local council replaced the wonderful Arts coordinator with someone whose portfolio is now arts and libraries and the arts community seems to lack its previous vigour and enthusiasm. An insult to the late Perc Tucker. It is an insult to the intelligence of the voters of Townsville, dumbing down the gallery and all the wonderful services it delivers. Townsville used to be called Brownsville and we will quickly become brown and barren again! Well said Heather, brown and barren on all levels. Appalling decision. Obviously made by people who do not appreciate the arts and the knowledge, epertise and empathy required to maintain those necessary standards to educate, encourage and enthuse the nation and its people!